First and foremost I’d like to welcome our newest subscribers who have joined from Redis Weekly – if you do not wish to receive Redis Watch in the future, please unsubscribe using the link at the bottom. I also want to thank François-Guillaume Ribreau for his amazing years-long contributions to the community, and wish him only the best in all his future endeavors. 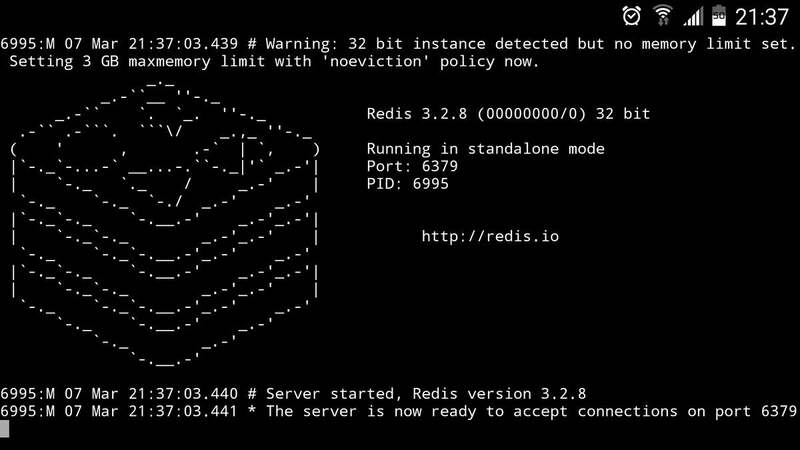 Secondly, I’ve been working hard experimenting with scaling (the ASCII logo of) Redis – lmk what you think. And lastly, I always said that Redis is like a drug: easy to get hooked, makes the world a better place, but (RAM) can become expensive. Hence, the following is hardly surprising. 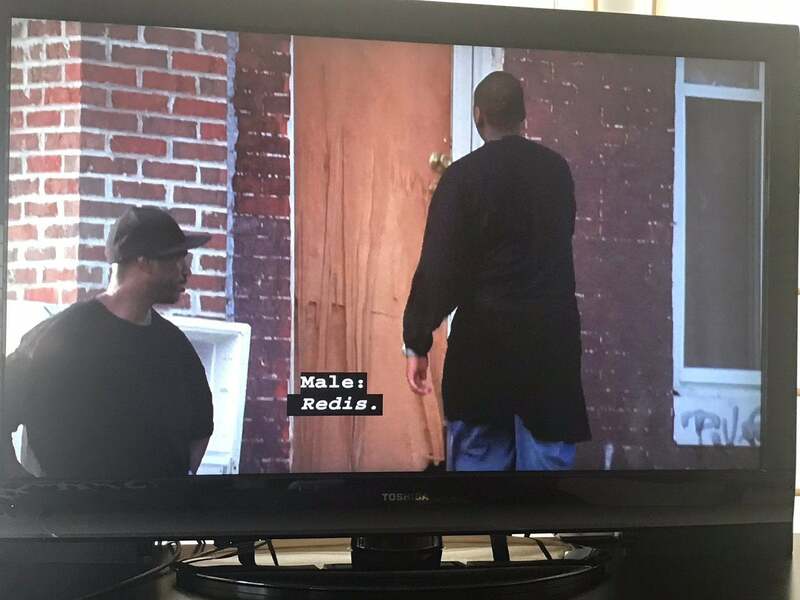 Closed captioning on @HBO’s #TheWire. I love #redis but didn’t know it was a street name for heroin. Summer of Code @gsoc acknowledges 52 additional exceptional OSS developers, of which I know at least one. A timeless piece from Baron Schwartz @xaprb, who saw it all coming and continues prophesying. Between this and that, señor Dvir Volk @dvirsky put together a thingamajig that adds command-line TAB-completion to redis-server and redis-cli in bash. To use, just save and source the gisted script from your .profile file. Another useful gist from Dvir Volk @dvirsky that should be come in handy for anyone who wants to develop her/his own code that shards into hash slots like Redis Cluster does. The author had used advanced techniques to generate this and promises the sequences are the shortest possible, making it ideal for embedding in with minimal stack overhead. If you’re lucky enough to have an Android phone, David Martínez @vaites and Termux @termux just made it possible to run Redis on it (although this does not leverage the new support for ARM). Is that a Redis in your pocket or are you just happy to see me? Stripe @stripe‘s Paul Tarjan @ptarjan provides the context, rational and use cases for different API rate limiters. Production source code is included. A tale by Kurt Norwood @kortox of Amplitude @amplitudemobile that shows the power of server-side scripting with Lua, cutting latency and improving concurrency. The thing to remember is that even if your Redis topology is different than Kurt’s, Lua is still the best way to go for composing commands and reducing the number of network round trips. Don’t let the title fool you. Yes, everybody probably knows that Redis’ Sorted Sets are the natural choice for leaderboards, but in this article author dmitrypol @dmitrypol includes an extra clever trick: using Mongoid for the mapping. Data structures are thrilling.I’m seeing of merit of using Redis as a primary, transactional database. Doing analytics on 2 million messages per minute is, to say the least, challenging. Once you choose at-least-once message delivery semantics, like the Tapjoy Engineering @TapjoyEng team have, detecting and discarding duplicate message can become a real pita of their Kafka-Spark-Postgres pipeline. Enter Redis and ♥ Aaron Pfeifer @obrie‘s recounting of how it is used to dedupe transactions. To save on RAM overhead, Hashes are used as containers. To increase performance, Lua is employed to bring the CPU to the data. Szymon Warda @maklipsa reviews the foundations of key-value databases, and compares the prominent features between a few: Memcached, Riak and Redis. Title says it all, but this is still a source of confusion for many so hopefully this will help. Via C# Corner @CsharpCorner. Eugen (Baeldung) @baeldung writes Java tutorials. After having already covered using Spring Data and Jedis, here’s one about Redisson. Note: IMO the next article that Eugen needs to produce is about LettuceDriver @LettuceDriver, which BTW had recently graduated to being a top-level project – congrats Mark Paluch @mp911de and Pivotal @pivotal! Sophie DeBenedetto @sm_debenedetto teaches how to use Redis (the “Swiss Army knife of Databases”, anonymous) as a shared data store between applications. Thomas Hunter II @tlhunter writes a book on Microservices, and talks about building them with Node and Redis (the “Super Glue of Microservices”, I.H). Even if you’ll end up writing your own code and deploying it on a different cloud this is, at the very least, a nice overview of Lambda architecture’s principles. Redis in the Speed layer is the natural choice (and this isn’t another drug reference) – via CodeProject @codeproject. have used redis as ipc for years. It is easy to use, maintain and has plenty of drivers. While technically involving an ARM device, this hack from Robbie Page @rorpage is developed using Losant @LosantHQ‘s platform with Redise Cloud storing the current status of the door. Scott Lobdell @slobdell3 uses Redis as an “intermediary buffer” for streaming the baby-monitor’s video of his good son (does he have other kinds?) in the home front. Omer Levi Hevroni @omerlh from Soluto Engineering @SolutoEng is using Redis from my favorite Redis-as-a-Service provider for many purposes, but he has a feature request that we’ve yet to provide: emailing multiple recipients when a subscription’s resources are about to be exhausted. I’ve already notified our PM team, but until we roll out this feature and for any other monitoring needs that you may have here or anywhere else have, Omri was kind enough (after gentle prodding ;)) to share his solution that uses webdis and a Nagios @nagiosinc/Icinga @icinga plugin that he wrote. @antirez’s redis continues to be the shining star in all the pieces of our stack. Awesome feature of the day is “notify-keyspace-events”. Another guide from the same dmitrypol @dmitrypol, in which he reviews two use cases that implement preemptive caching. Grab Engineering @grabengineering tell how they tracked down an unexpected behavior concerning cached unicorns, key expiration and the use of slaves… but as noted in the comments by the creator, this was first reported by YouPorn years ago (albeit minus the unicorns one should hope). That said, it is still an important lesson learn, so make sure you read it all the way through (including the footnotes, and especially the 1st one). definition of insanity is making 30 day backups of Redis when all keys have EXPIRES far smaller than 30 days. A simple and useful module for managing sessions by Thulio Ferraz Assis @thulioassis, who’s migrating it from C++ to C and rewriting it to use the low-level modules API, but enjoying it. My colleague Shay Nativ @shaynativ gave this webinar, showing how to build a recommender engine using Apache Spark and Redis-ML. Very cool stuff. My blog post about ReJSON was finally published, and also got nice traction on the interwebs 🙂 tl;dr it is a a Redis module that provides native JSON capabilities. The first community-contributed “client” for ReJSON wraps ioredis for easy use in Node.JS – thank you Evan for this wonderful gift! The first community-contributed client for RediSearch was made by Ethan Hann @EthanHann and comes with impressive documentation – kudos! Josh Baker @tidwall‘s latest addition to his database’s (Tile38) tools arsenal is a benchmarking package in Go, that also happens to work for custom Redis commands and modules. Join us for the largest gathering of Redis users and experts. Explore Redis capabilities in a range of use cases including machine learning, IoT, analytics, personalization, streaming, metering, artificial intelligence and many more. Register before April 15th, 2017 for a chance to win a $500 Amazon Gift Card. Recently, AWS announced the availability of I3 instances across 15 different regions. We were happy to be a part of their I3 instances beta program and used our own Redise Flash technology to extensively test and benchmark the new instances before they were formally launched. Jay Johnson @jayphjohnson of our partners Levvel @GetLevvel had assembled an ML pipe on the IRIS dataset, using Jupyter, XGBoost, sci-pype and Redise Cloud. 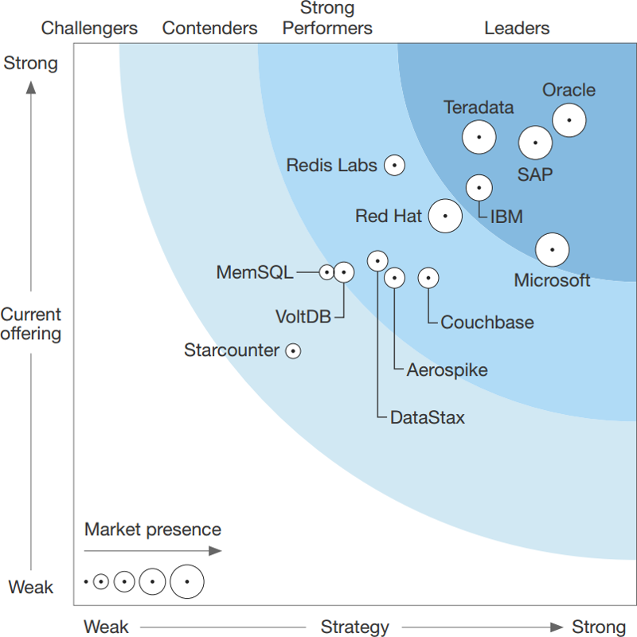 In the Forrester Wave™: In-Memory Databases, Q1 2017 report that was published last month, Redis Labs was named “Strong Performer” and received the highest ratings for key criteria such as performance, analytics support, and use cases – download your complimentary copy from our website.